DiBella Entertainment put on another invigorating show at the famed BB King Blues Club and Grill in New York City last night. 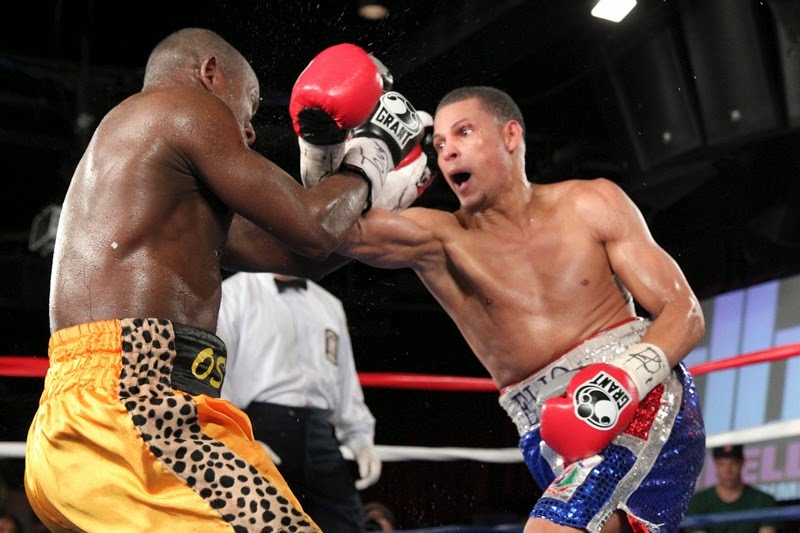 In the main event, former WBC Featherweight champion Elio Rojas (24-2, 14 KO's) returned to the ring after a two and a half year layoff, and soundly defeated Robert Osiobe (14-10-4, 6 KO's) by an eight-round unanimous decision. Rojas won via scores of 80-71 twice and 79-72. Rojas, 31, landed numerous lead right hands while fiercely battling Osiobe's rough tactics throughout the entire match-up. During round five, referee Arthur Mercante, Jr. deducted one point from Osiobe for excessive holding. Osiobe, 36, showed great difficulty dealing with Rojas' adept hand speed and lateral movement. The bout took place at junior welterweight. 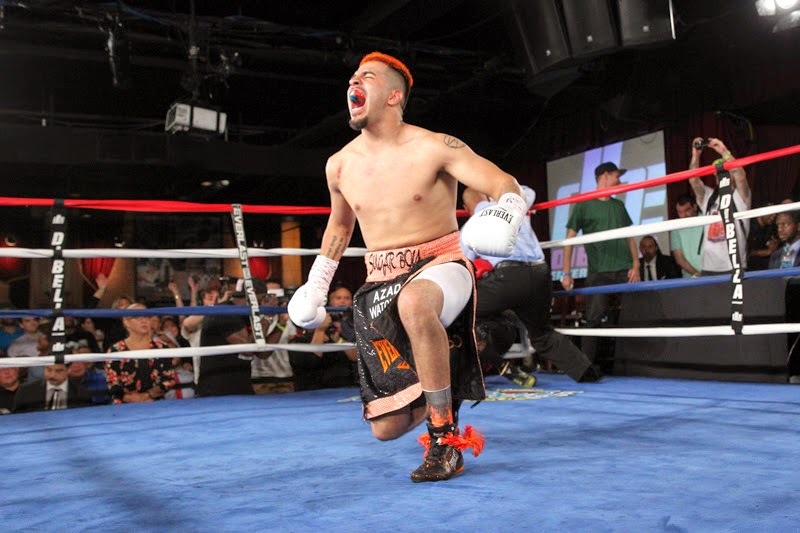 Junior lightweight Bryant "Pee Wee" Cruz (12-0, 6 KO's) captured a six-round majority decision victory over tough Jose Morales (7-6, 2 KO's) in the co-main event. The final tallies were 57-57, 60-54 and 59-55. Both fighters exchanged blow-for-blow in close quarters for the full eighteen minutes to please the sellout crowd. The fight appeared much closer than the official scorecards indicated. 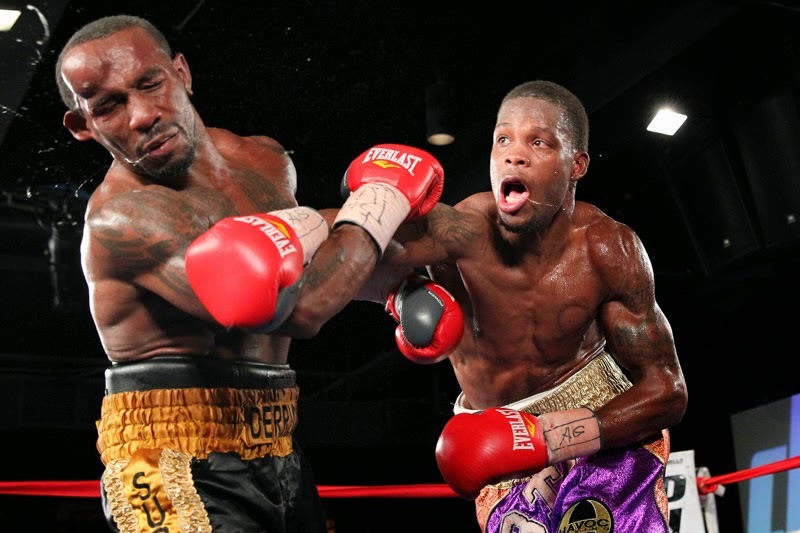 Despite sustaining a hematoma on the right side of his forehead, Derrick Findley (21-13-1, 13 KO's) shocked Lamar Russ (14-2, 7 KO's), winning an eight-round unanimous decision via scores of 77-72, 76-73 and 75-74. Although Russ exhibited a clear height and reach advantage, Findley popped him early in round one with consecutive right crosses. Findley continued to counter Russ effectively in the second round, connecting with a hard right uppercut to the body. In the opening moments of round four, Findley unleashed a left hook that instantaneously floored Russ. Shortly thereafter, Findley developed a large hematoma on his forehead. It was unclear from ringside if a punch, elbow or headbutt caused the massive swelling. Next, Russ briefly abandoned his jab and threw wild, looping shots. After examining Findley when the round ended, the ringside physician allowed him to continue fighting. Referee Arthur Mercante, Jr. deducted one point from Russ in the seventh round for holding. Then, Findley threw and connected with a colossal right hand shot that sent Russ crashing onto the canvas. Surprisingly, Russ recovered and made it to the eighth and final round. During the final minute of action, Russ peppered Findley with three straight right crosses to the head. After that, Findley landed a crushing left hook on Russ' jaw. From that moment on, both combatants traded fiercely until the final bell. 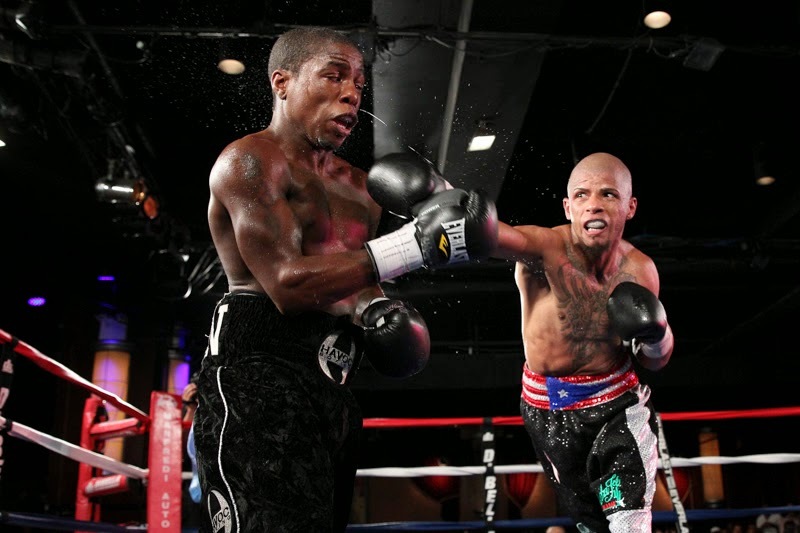 Brooklyn featherweight Rafael Vazquez (12-1, 10 KO's) scored a TKO victory at 1:20 of round five against Derrick Wilson (10-7-2, 3 KO's) in the most exciting fight of the night. Wilson, 25, worked well behind his left jab in the first round and used lots of lateral movement to stifle the offense of Vazquez. Wilson continued to outwork Vazquez in round two, but Vazquez tagged him early with an accurate left hook-right cross-left hook combination. Just as Wilson appeared to find his range in the third round, Vazquez, 36, dropped him with a lightning-quick left hook to the face. 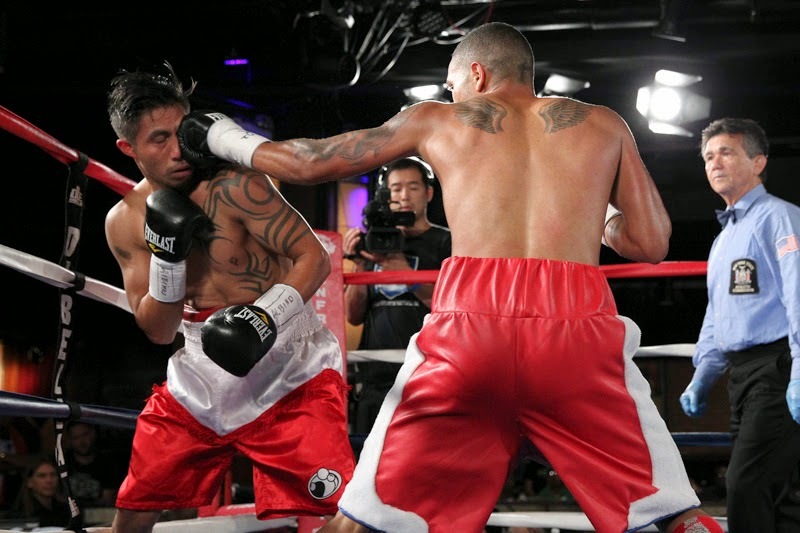 Vazquez nailed Wilson with a right cross-left hook combination to begin round four. Then, a right uppercut followed by a swift left hook from Wilson dropped Vazquez. Moments later, Vazquez staggered Wilson with a right cross-left hook combination. Wilson desperately tried to clinch after getting struck with a well-placed right hand shot from Vazquez in the fifth round. Subsequently, Vazquez fearlessly assaulted Wilson with right crosses until the bout was stopped. Light heavyweight Junior Younan (6-0, 5 KO's) blitzed right through Marlon Farr (4-7) in :26 of the 1st round. After trapping Farr in a neutral corner, Younan, 18, knocked Farr unconscious with a series of brutal right crosses and left hooks. Referee David Fields was a few seconds late on the stoppage, causing Farr to absorb approximately three unnecessary blows to the head. 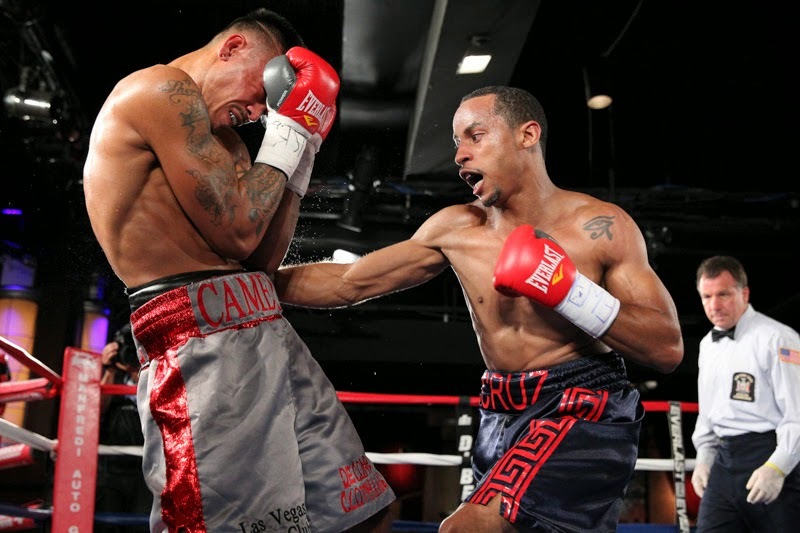 Louis Cruz (9-0, 4 KO's) stayed undefeated, scoring a six-round unanimous decision versus Cameron Krael (5-6-2) by scores of 60-54 twice and 58-56. 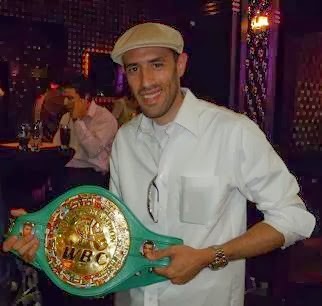 Cruz, a junior welterweight, used his proficient foot speed to outbox his foe. Yet, Krael was relentless, and attacked Cruz with crisp, clean body shots for the duration of the fight. When Cruz had trouble containing Krael, he released sudden lead right hand shots. Cruz sustained minor swelling underneath his right eye during the fifth round. The judges' official scorecards were not reflective of the competitiveness put on display by Krael. In cruiserweight action, Travis Peterkin (11-0, 5 KO's) outpointed Lamont Williams (5-5-1, 2 KO's) in a six-round bout via scores of 60-54 and 59-55 twice. 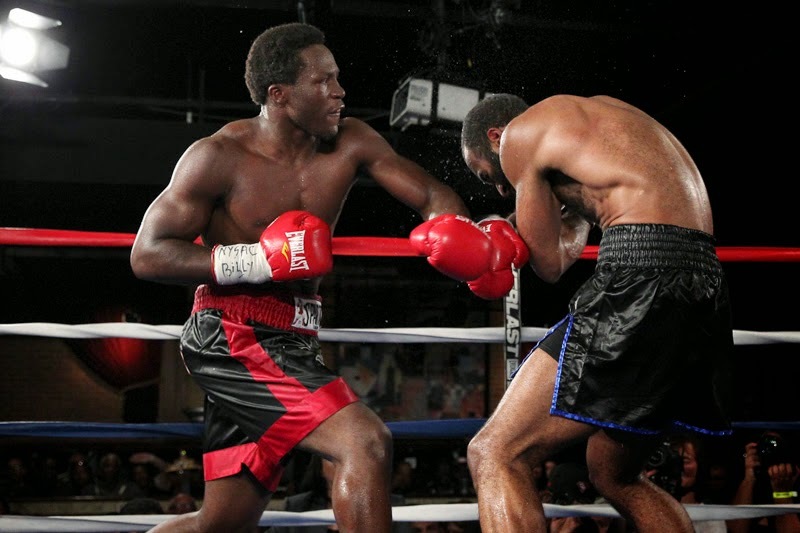 Peterkin, a southpaw, pressed the action throughout the fight, but threw too many wide punches. As a result, he lacked the delivery to finish Williams. Junior welterweight Jonathan Alonso made a successful pro debut, stopping Jose Gomez (3-8) at 1:52 of round three. Born in the Dominican Republic, but now residing in Spain, the 23-year-old prospect displayed a definitive advantage of hand speed and natural power. While Gomez possessed a sturdy chin, he consumed a multitude of grueling shots with each passing round. A fast right uppercut to the body and then to the head from Alonso left Gomez crouching in the corner, and the fight was immediately stopped.